A premier gated community developed by Roger Shaheen for your escape to year-round adventure. A premier gated community featuring walking trails, ponds, a seven-acre park, tennis courts, sport court, horseshoe pits, bocce ball courts, disc golf course and children’s playground. A beautiful natural stone pavilion with built in B.B.Q.’s and acres of luxurious landscaping. There is a proposed swimming pool and recreation center. How many acres is the project? Foxwood is approximately 400 acres. How many homes will there eventually be? Foxwood has the potential for 580 custom homes. The adjacent Foxcreek has a potential for 104 custom cottages. How many Villages are there at Foxwood? There are 4 Villages at Foxood: Foxrun, Foxhollow, Foxglenn, and Cedarwood. What about water, power, and gas? 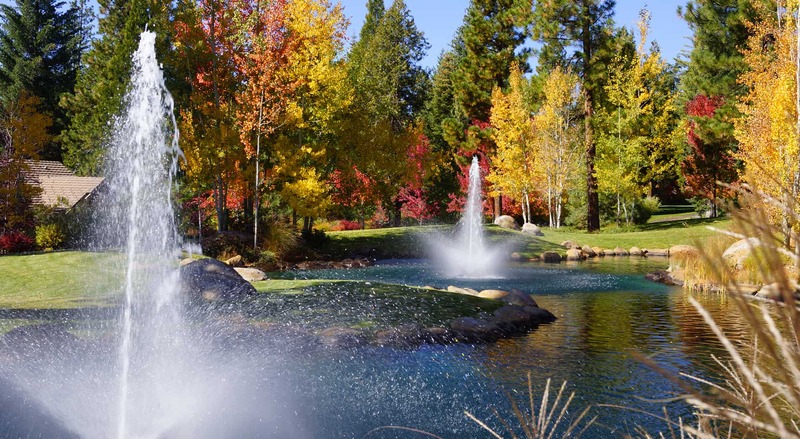 Foxwood has community water, PG&E power, and propane. Tanks must be located underground. Yes, with a step-up system removing liquid waste to a sand filtration system located off site. Can I put up my satellite dish? Yes, in the least-conspicuous location available. How many gallon propane tanks are required? The standard size is 500 gallons, and all tanks are to be installed underground. What amenities are in the park? A Grand Pavilion with a large indoor fireplace, tennis courts, sport court, horseshoe pits, children’s playground with five slides, bocce ball courts with surrounding paver patios, gas B.B.Q grills, picnic tables with umbrellas and benches for viewing those lively bocce tournaments. If you are in a sporting mood, try your skill on our disc golf course laid out amongst the beauty of our seven-acre park. Walking trails wrap through the park and villages providing many spots for picnics. Do I have to build within any period of time after purchase of a lot? No. However, your home must be completed within 18 months of the building permit being issued and the building process having begun. Can I build the log cabin of my dreams at Foxwood? Sorry, but no. Foxwood homes must comply with design guidelines of the review board. We call it a European Country style. Yes. However, all plans must be reviewed and approved by Foxwood’s architectural review committee. Are there existing home plans available? Yes. There are some existing architectural plans available on a limited basis. These plans can be a guide to your home with your own input towards small design changes in order to customize your home to your specific requirements. All plans must be reviewed and approved by the Foxwood Architectural Review Committee. How large must houses be? Each Village at Foxwood has minimum square footage requirements. Please refer to the Villages tab for specifics. Can I park my RV on my lot during construction of my house? CC&R guidelines forbid that. However, the Lake Almanor area features many RV parks. What is the difference between Bailey Creek and Foxwood? Bailey Creek is a public community on a public golf course. Foxwood is a private, master planned gated community with many amenities available for property owners. At Foxwood, a security staff is on site all day and into early evening. Does Foxwood have a golf course? No. However, there are three courses nearby, including Bailey Creek (public 18-hole course) next door. What is there to do at Foxwood? Everything or nothing! Foxwood has paved walking trails, tennis courts, a sport court, barbeque area, pavilion, a children’s playground and beautiful landscaping throughout for your enjoyment. 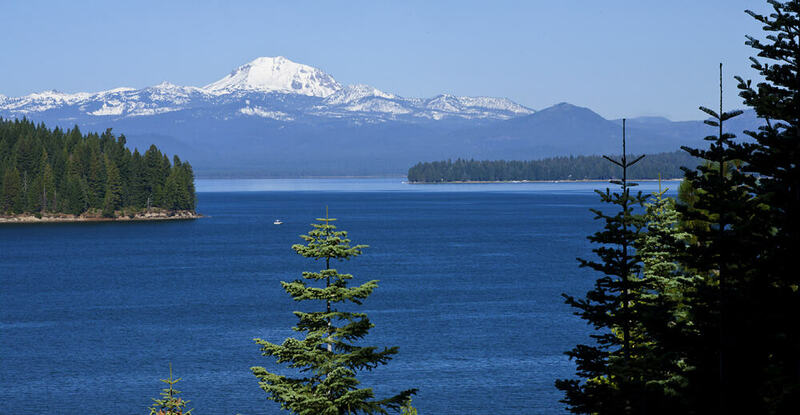 Additionally, The Lake Almanor area offers the following: biking, hiking, sailing, water skiing, windsurfing, parasailing, jet skiing, fishing, hunting, wildlife viewing, snowmobiling and sledding. Relaxing around one of our ponds or in the park, or in your own backyard at Foxwood is easy.